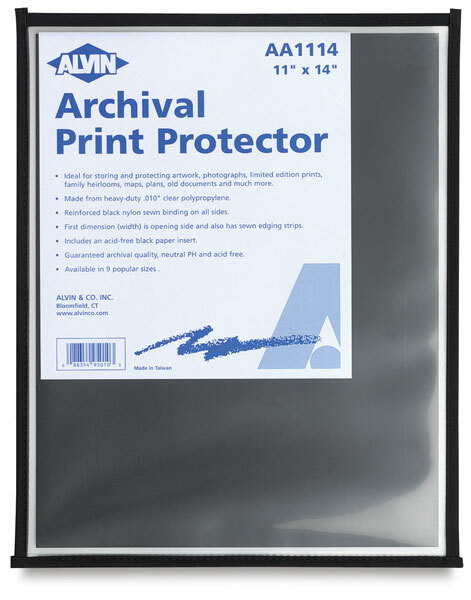 These print protectors are ideal for storing and protecting artwork, photographs, limited edition prints, family heirlooms, maps, plans, old documents, and much more. They open from the top and are made from heavy-duty, .010" clear polypropylene with reinforced black nylon sewn binding on all sides. 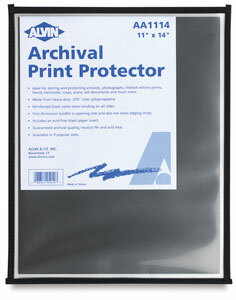 The print protectors are guaranteed archival quality, neutral pH, and acid free. Each one includes an acid-free, black paper insert.